Queen bed in bedroom, queen sofa bed and queen murphy bed (pulls out of the wall) in living room, TV, DVD, full size fridge, stove, oven, dishwasher, microwave, and small appliances. 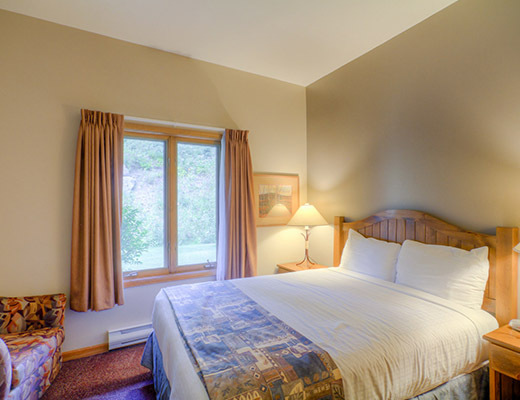 Nestled amongst the majestic alpine scenery of desirable Sun Peaks Resort, Nancy Greene's Cahilty Hotel & Suites promises warm and inviting accommodations for your next vacation. 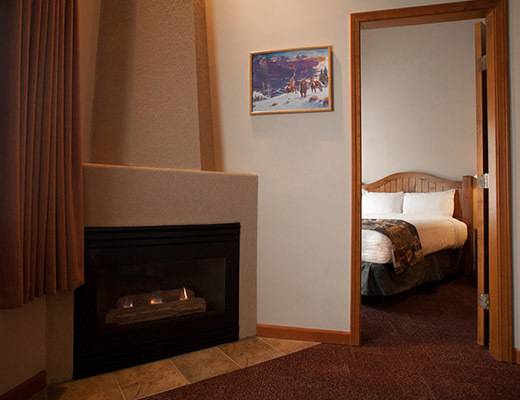 With fantastic ski-in/out access, comfortable interior finishes, indoor and outdoor hot tubs, complimentary wifi, ski lockers and a great restaurant on site. This is one of the best hotels on the mountain.